This is part in our series of increasing traffic to your website, that I tagged Newbies' Guides to Increase Laser Targeted Traffic to Your Website - - the surefire ways to drive laser targeted traffic to your website. In this entry, I will focus on organic traffic i.e. the traffic that is brought to your website via search engine only. I will discuss 9 organic traffic tactics. Let’s dive in right away. Whether your contents will get traffic or not depends on the level of your keyword research. The value of it cannot be over-emphasized. Gone are the days when you can publish anything and get traffic to it. It is a waste of effort to write 1000 words or more articles that will not get any traffic to it. That is why you should spend more time on keyword research than anything else. The value of a keyword lies on this. In order to identify the keywords that are worth writing about, you need to consider the search volume. To analyze your keywords, you may need to download them into a spreadsheet, put in the equation and arrange the keywords according to their search volume, i.e. you rank them. You can easily find the keywords that have more than 100 searches per month and have a strong keyword value score by doing this. There are several keyword research tools on the net today; some are free but with limited functionalities. To enjoy their full functionalities you have to opt in for the paid subscription. One of the best free ones is own by Google i.e. Adwords Keyword Planner. For the paid ones, one of the best I think is SEMRush, but it’s quite expensive for a starter who has little or no money to spend on keyword research. At the time of writing this, I think SEMRush goes for about $70 per month. That’s a lot of money for us in this part of the world. So, I suggest you stay with the free ones for a start. Certain blogs are ranked higher by Google’s algorithm for certain types of topics. It does this based on posts that are already drawing significant organic search engine traffic. The highlighted points below describe how to identify potential topics based on keywords that you are already ranking for that your blog may be valued higher for. Take note of your blog entries that are already well ranked and getting the most organic traffic from search engine. Take for instance, say one of your blog posts that are bringing huge traffic to your site is a keyword “making money online”, then search for all the other keywords or keyword phrases (long tail keywords) that people are searching for that are related to that your main keyword “make money online”. Make a note of all of them in a text file. Create more contents around these keyword phrases you identify above, including them in the title of your posts as much as possible. Monitor the new entries and be sure they rank well within the next three months or so. Continue writing blog posts around those keywords until you exhausted the list. This way your site will rank very high for your root keyword, in this example “Make money online”. Keep the title of your blog posts to about 55 characters. Search engine normally can display between 50 to 60 characters in your title, so there is no point writing lengthy titles that will be truncated when displayed on the search engine result page. Let me use an analogy to explain what I mean here. Let’s say you want to write a post on how to make money online, you probably have 3 or more points you want to write about in that post. 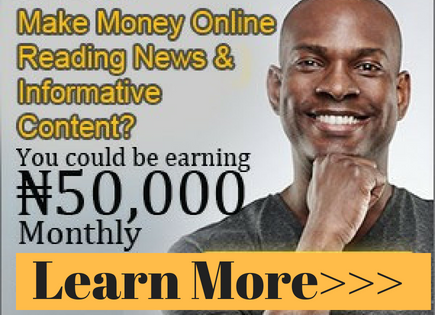 So your title can read something like “3 ways to make money online”. Blog entries with these types of titles have a greater percentage of being clicked when they show up in search engine result page. This is because nobody has time to read details of your post, so they prefer something they can quickly scan through and grab the idea you are passing across. So the list style kind of articles get more clicks and remember the more clicks you get the search engine will perceive that post as being more targeted and authoritative than every other on the search engine result page. Although it is not possible to have a list style of title on all your blog posts, as much as possible use it when you can. Let’s say the keyword phrase you want to rank for is “Make money online tips” then you may write such titles as 10 Tips for Making Money Online”. The main keyword phrase in this example is highlighted in bold typeface. Additional words can come before or after your main keyword phrase. What matters is in all you do as regards your blog post titles make sure your main keyword is included in your title. Keep your meta description between 150 to 160 characters. Most search engines will only use between 150 to 160 characters of the meta description in the search results, the rest is truncated. A well-structured sidebar of your website can improve your search engine ranking in many ways. Follow the following techniques for better results. Display about 10 to 15 of your latest posts on your sidebar. Doing this will increase visitors interaction with your new contents and make it easy for search engine to quickly index your latest posts. If your latest posts are listed on the sidebar of every page of your site Google’s algorithm will value them. The default for recent post widget is around 5 to 10 posts, you can increase it to 15 to 20 posts because it allows your new posts to stay in the sidebar longer. This strategy will continuously help your new posts get a big boost in their initial indexed rankings. Find the keywords related to your site keywords that have highest search volume and are already ranking well on search engines and create contents around them. Have a way of showcasing those posts like creating a featured posts section in the sidebar including links to each of these posts. As stated earlier you should display about 15-25 posts in a tabbed sidebar widget. The entire website sidebar link will help boost these blog posts probably to a number one ranking. 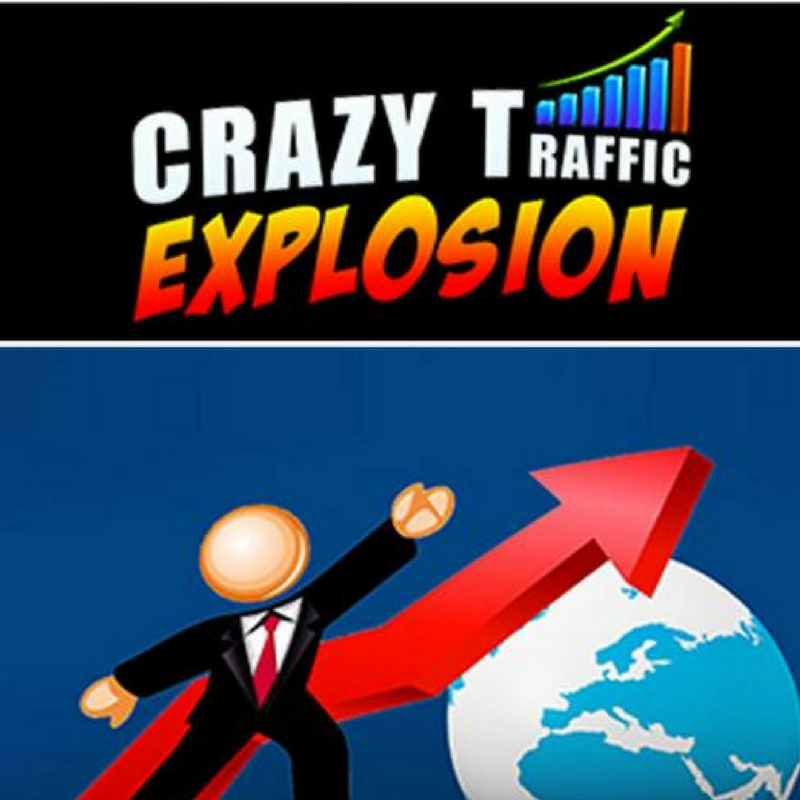 You can easily get about four thousand to six thousand visitors in a month from a #1 ranking if you are already getting about one thousand visitors from a #3 ranking for your main keywords. This will also increase your conversion rate because #1 ranking has a higher conversion and a higher email subscriber rate. Gone were the days when you can create an article of 300 to 500 words and get it to rank well on search engines. The average word count of top-ranked search results on Google showed that web page with over 2000 words ranked the highest. As a matter of fact, your website will get penalized by Google’s algorithm for thin contents if you continue to write contents of 300 to 500 words unless you don’t have any other web page that offers the same information that you have on your page. However, not all your blog posts need to be long before you can rank them in search engines. It all depends on your competition. If the pages from your competition websites are long articles, you definitely should write long articles too, probably longer than theirs, to get them rank well. Include more details in your post so search engines will see your page as an authoritative page for the chosen keyword. It is recommended your article is 50% longer than your competitors’. So identify the average word counts of their pages that are already ranking well for your chosen keywords and write longer articles that are 50% than theirs. You can use this technique to boost the ranking of your entire website, not just a page. Try to post an article of over 2000 words every week and see what happens to your entire site ranking in a period of three months. It works very well. The time visitors spend on your site matters a lot. If visitors come to your site and hit the back button immediately your site will be perceived by search engines as not being relevant. Search engines, particularly Google have a way of tracking the time from the moment someone clicks your post from the SERP to your site until they go to another website. Your site will be perceived as more relevant than your competitors if you can keep visitors engaged longer in your post than the competition, this way you will continue to move up the ranking ladder of Google. One thing that determines whether visitors will stay longer on your site is how you structure or format your posts. There are a couple of things you can do to achieve good formatting of your post, as outlined in the following paragraphs. Keep your paragraphs between 6 to 7 lines of sentences. This way, your entire post can be broken down into manageable bite-sized chunks. The inclusion of headings and subheadings make your long posts easier to scan through and digest. This is another opportunity to include your long tail keywords in the heading and subheadings; it can help boost your rankings as well. Just like what headings and subheadings do to your posts, numbered lists and bullet points help your visitors to easily scan through your post and you can easily organize your contents using this format of writing. Not all fonts styles and sizes are good for the web. When writing your posts choose the font style and size that will allow your words to flow beautifully and allows readers to read easily across the post. There are two classes of font styles, namely Serif and San-serif fonts. The latter is the preferred choice for the web. Talking about font size the preferable size for the web is 14pt-16pt with 130-150% line spacing. As part of general web usability guide, there is a reason why almost all websites and even books are written using black words on white background (for websites) or paper (for books). It is the ideal contrast for reading for human eyes. If you want to play around with colours on your site, probably trying to be unique, it is recommended you restrict that to your logo and/or theme layout only. Leave the lettering side of things on the default of black text on white background for all your blog entries. Visuals such as images, videos, slideshows, and infographics can increase the average time your visitors spend on your blog post by over 150%. Let’s look at some of such visuals that have the greatest impact on the average time spent on a post. You can get quality videos to include in your blog post for almost any topic from video sharing sites like YouTube or Vimeo. It is recommended you first watch the video to determine its relevance to your post and how much of content it can deliver to your visitors before you embed it in your blog post. If on the other hand, you don’t have much time to do that you can easily identify videos that will deliver quality content to your visitors by looking at the number of thumbs up and thumbs down on such videos. This thumbs up or thumbs down are reviews left by people who have already watched the video you are about to use. However, your video should not be too long; people don’t have much time to spend on your website. Get a video for the duration of between 3 to 10 minutes or at most 20 minutes long. You can create a picture slideshow of your topic and publish it in your post. It helps visitors to easily scan through the slideshow and get the information you are passing across. If you want to include infographics in your post, it is better to place it at the end of the post because of the fact that they take too much of space and may disrupt the flow of the page content. With infographics, your blog post will be more engaging than your competitors and even have the potential of pulling in more traffic to your website. You can learn how to create an infographic on https://piktochart.com/blog/how-to-create-an-infographic-and-other-visual-projects-in-5-minutes/. Once you have learned the process you can sign up for an account right on the same website and get started creating infographics for your blog posts. Social signal is one of the growing components of Google’s web ranking algorithm. By social signal, I mean sharing of your contents on social media platforms like Facebook, Twitter, Google+, LinkedIn, etc. Google loves websites whose contents are shared on social media. Ordinarily, most visitors will not share your contents for you. There is a way you can make them do that by using a social lock button. A social lock button is used to lock particular contents on your blog. The content becomes visible only when the visitor clicks on the button and share the page on social media. This will greatly increase your social shares but make sure the content you lock is a valuable content that will compel the visitors to share in order to gain access. Floating share buttons either on the left or right works better than static share buttons placed at the top or bottom of the page. 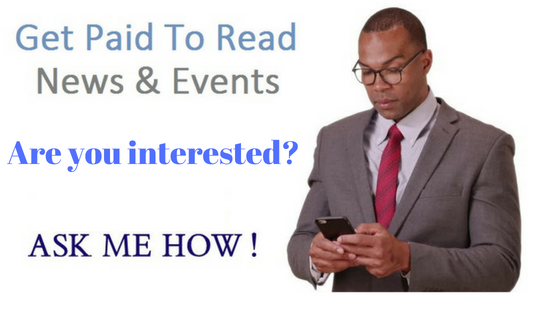 Over 50% of the visitors coming to your site are doing that using mobile device. Unfortunately, most social sharing plugins do not work well on mobile devices. To avoid losing out, be sure to test your social share buttons on your mobile phone to ascertain they are functioning properly. You can configure your social share buttons to hide the number of shares the post received until it reaches a number you set. To help increase the average time on a post and decrease the bounce rate of posts with low stats, it is recommended you hide such low statistics. Every website has a domain authority score of between 1 to 100. You can increase the domain authority of your website by having authoritative sites (in your niche) linking to posts within your site. To know your domain authority, head over to MOZ’s Open Site Explorer and use the tool to analyze your site domain and page authority. There are couples of things you can do to increase your site domain authority, as outlined in the following paragraphs. I’ve talked a little about infographics in the preceding paragraph above. Every professional online marketer knows that Infographics are one of the top content marketing strategies that can help one to easily get backlinks. It is easier to get a top ranking website with high domain authority to link to your site via your infographic than with ordinary blog post alone. I’ve already mentioned a resource where you can learn how to create an infographic in one of the above paragraphs. It’s one thing to create an infographic, it’s another to promote it. There are several ways you can do that. You can upload it to infographic directories, you can mail it to your lists, tweet about it, make a video from it and upload it to YouTube or other video uploading site and include a link to direct the viewers to a detailed infographic. You can share it on Pinterest and send out press releases about it. Sites like Reddit has infographics section you can upload it there. Also, Visual.ly has a community section for such contents. To get details of this and other tips and tricks to getting backlinks from high authority sites, it may interest you to check 9 ways to get high authority backlinks.